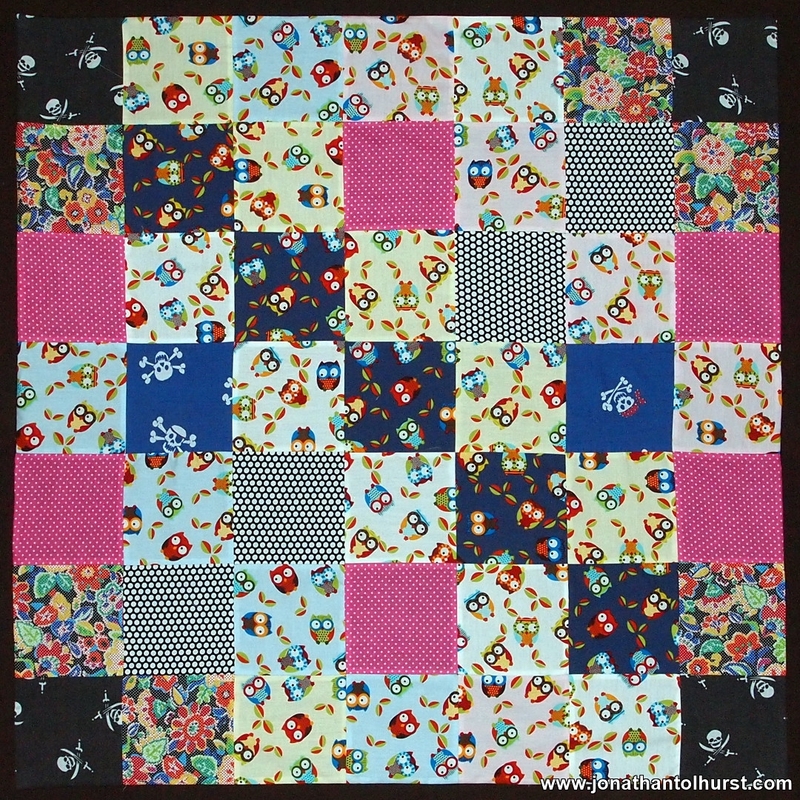 This is my third attempt at creating a basic patchwork quilt and I am very happy with the results. 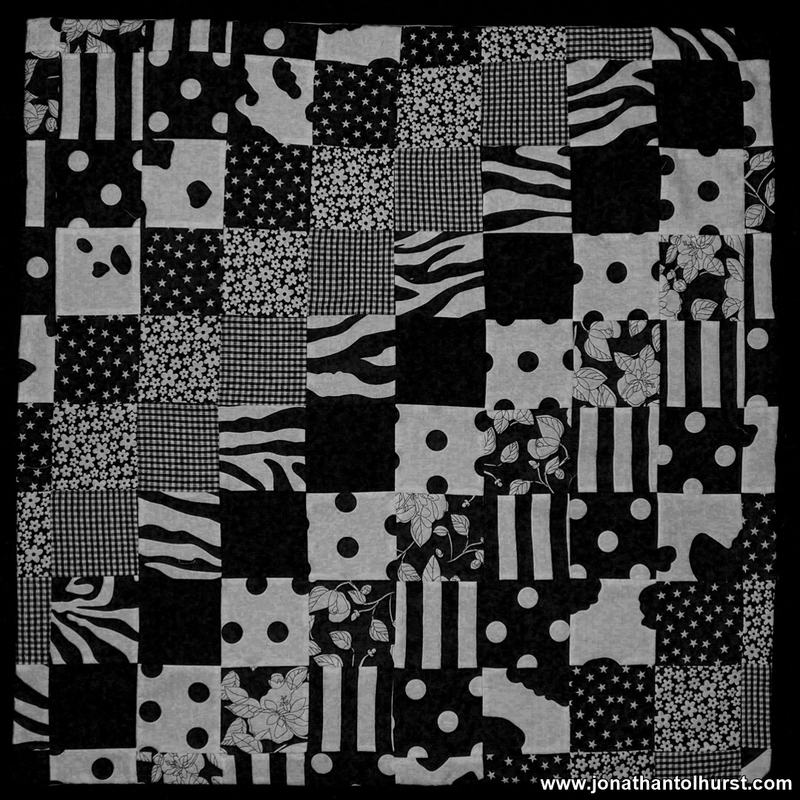 A few photographs of my first couple of attempts at patchwork quilting using my new sewing machine. After really enjoying a recent introduction to sewing evening class I decided to invest in a new sewing machine. 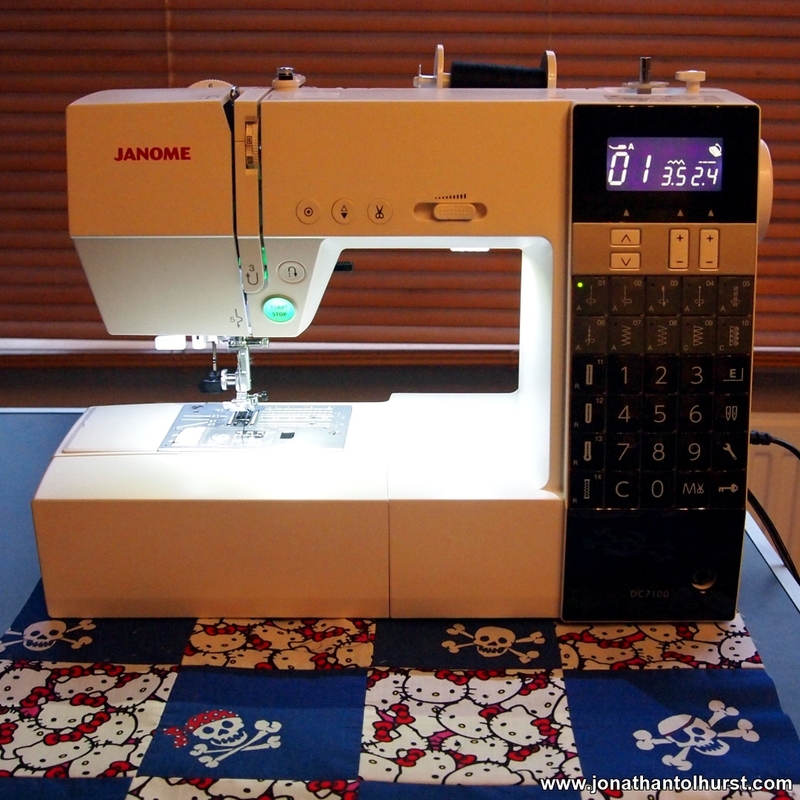 The model that I settled for was a Janome DC7100 which I picked up from John Lewis. I couldn’t actually find any UK reviews for this model but Janome machines in the price bracket are highly regarded and I must say I’m really pleased with my purchase. It’s also a really cool looking machine. The machine is digital and has 100 different stitches, LED lights, speed control and is so much smoother than my old machine. I have so far used it with a variety of different materials including thick denim and I can’t fault it. 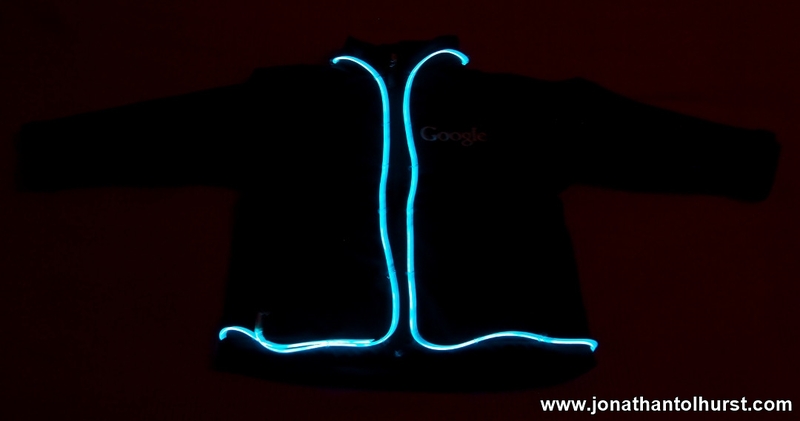 This weekend I put the finishing touches to a Google branded jacket to which I added around two meters of aqua El-Wire as a birthday gift for my four year old nephew. 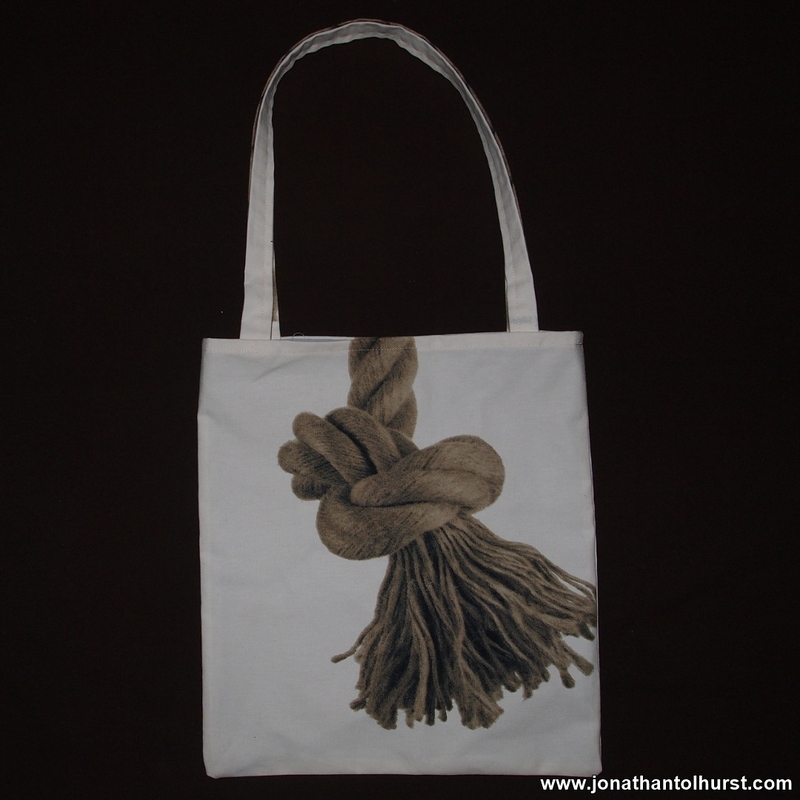 Below is a photograph of a second tote bag I made this morning for practice, rather than head outside into the cold and snow. 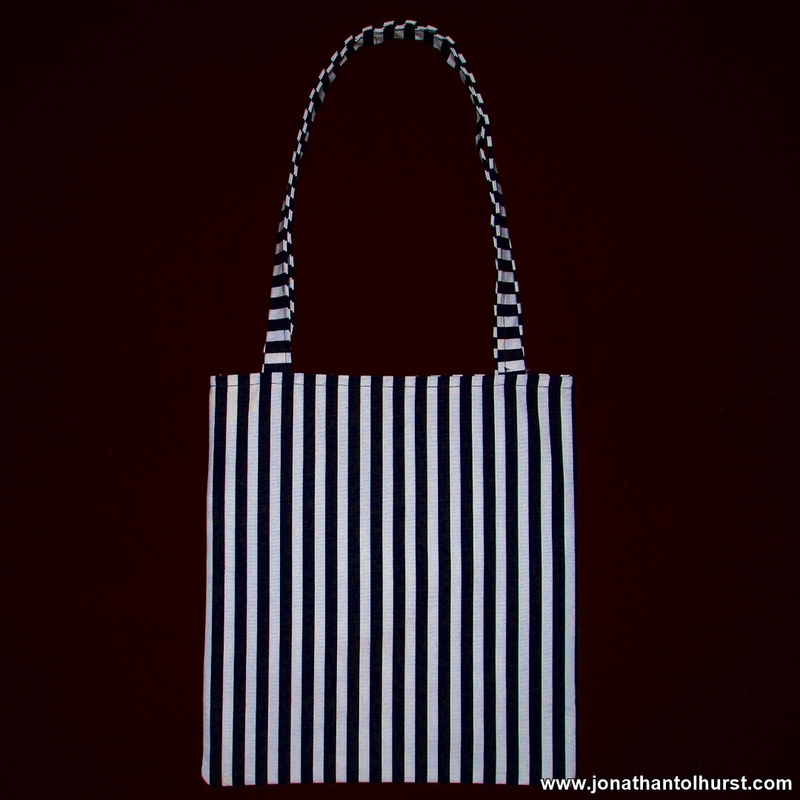 This one was made out of striped fabric with a plain white cotton lining. At Week 2 of my sewing course this evening I made a tote bag which included a pair of handles and a lining. 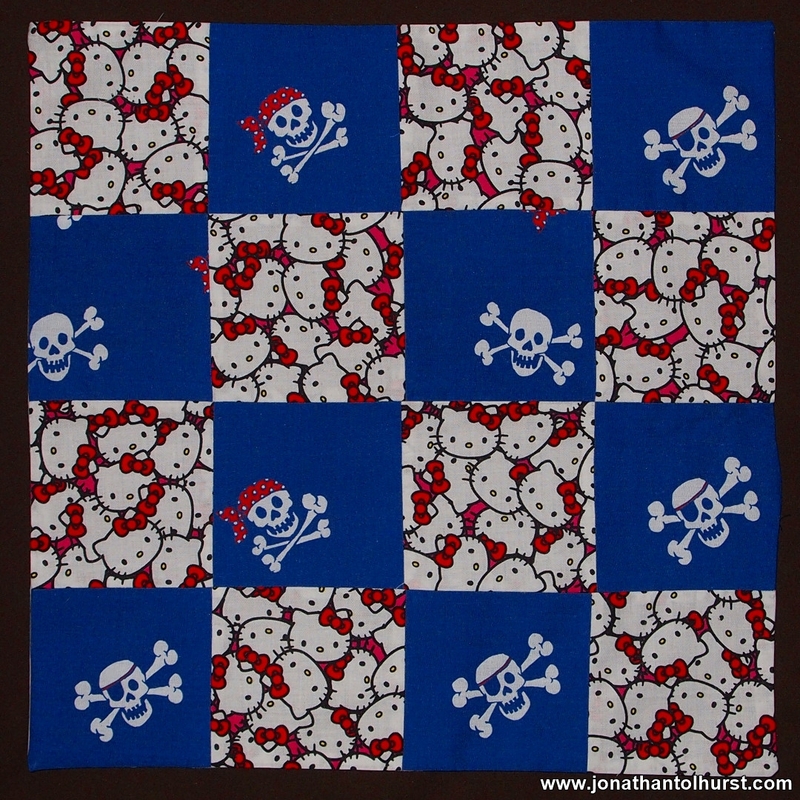 I used a piece of scrap fabric with a rope print that I had previously purchased from Ikea. Making the bag was good fun and I was reasonably pleased with the finished article – my use of the sewing machine had improved since the previous project. 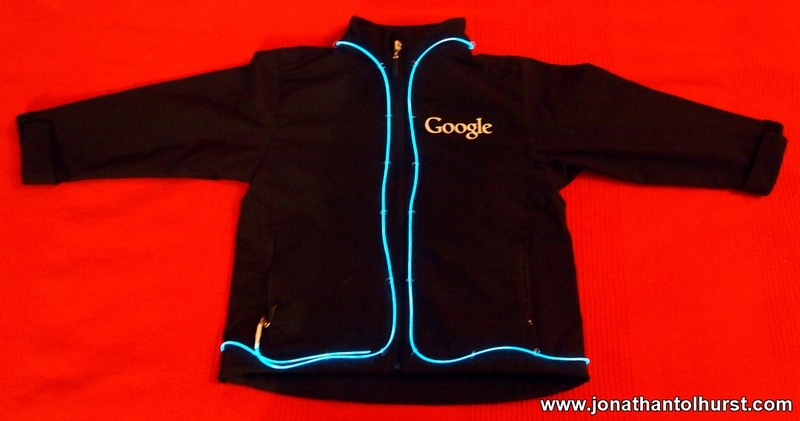 Tonight I attended the first week of a beginner’s sewing course, which should help me learn the skills required for some wearable electronics projects that I’d like to undertake. I chose a course at Old Paradise Yard in Waterloo due to its proximity to St Thomas’ hospital. 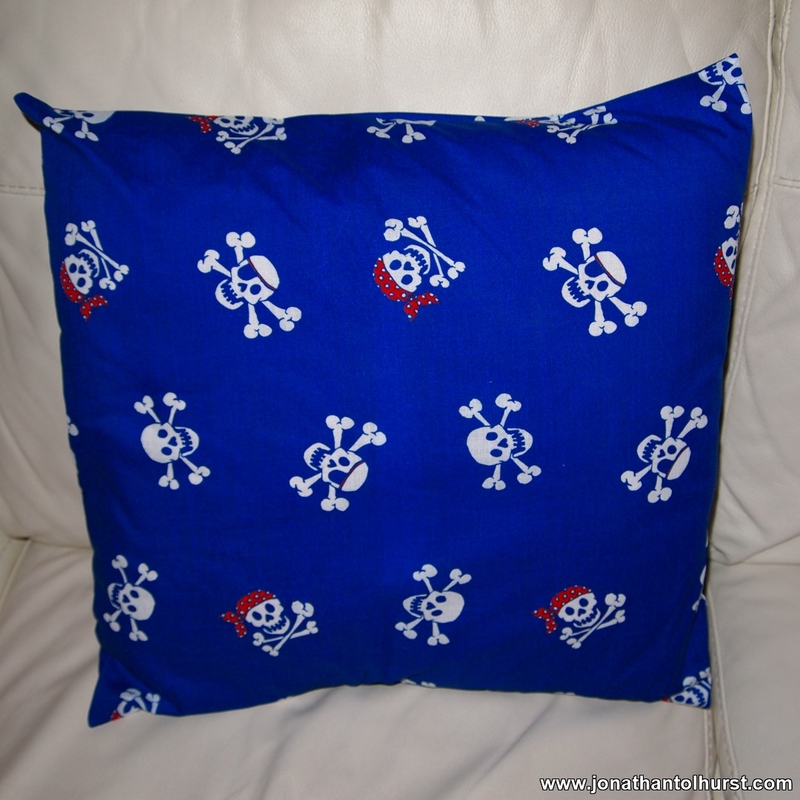 Week 1 covered the basics of using a pattern and sewing machine to create a cushion cover.